With spring in full swing, it’s time to break free of your standard cocktail choices and delight your taste buds with something light and refreshing. Imagine the first warm day of the spring season; you’re spending time with a few of your closest friends out on your deck or patio, relishing the feeling of the sunlight on your skin as you enjoy the outdoors for the first time in months. What could possibly make this moment sweeter? A colorful cucumber cilantro margarita! Once you’ve got all your ingredients, fill mixing cup with ice. Shake ingredients in metal shaker. Fill a salt-rimmed 16-oz glass with ice. Pour ingredients over ice, straining out only the liquid into the glass. Garnish with a cucumber wheel and a sprig of cilantro. Note: If you don’t have any Triple Sec on hand, the good news is that you can substitute it with some simple syrup, which can be made by heating equal parts sugar and water over low heat on your stove top until dissolved. If you use simple syrup instead of Triple Sec, though, it’s recommended that you use at least two ounces of tequila—unless you want a very weak drink, that is! 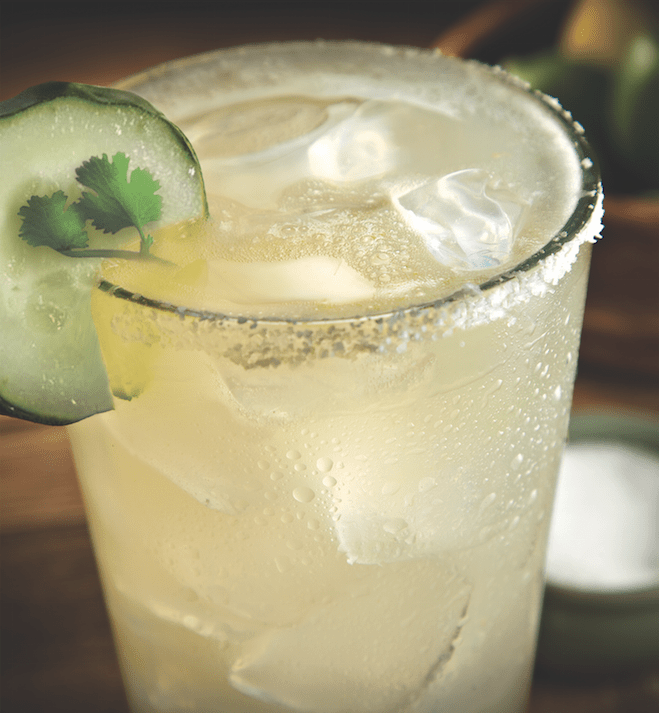 If you’re looking for an easy margarita recipe that’s great for enjoying on a bright spring day, come on by any Macayo’s location and enjoy our refreshingly cool March Marg of the Month for $8.99!